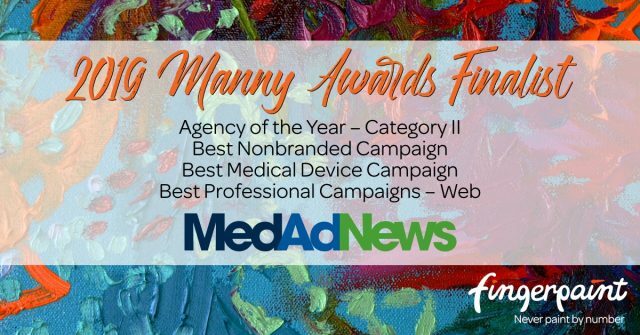 The 2019 Manny Awards finalists have been announced by Med Ad News and Fingerpaint received five nominations in four categories, including Agency of the Year Category II. Fingerpaint was also nominated for Best Nonbranded Campaign and Best Medical Device Campaign, and it received two nominations in the Best Professional Campaigns – Web categories. The 2019 Manny Awards will be held on April 18, 2019, in New York City. Read more about all the finalists on Med Ad News.